Good coffee and delicious croissants are always on my radar, especially on the weekend. So when a friend of mine told me about a different but exceptionally good kind of croissant, I was all in. That's how I discovered La Cornetteria, a tiny bakery located in Little Italy. 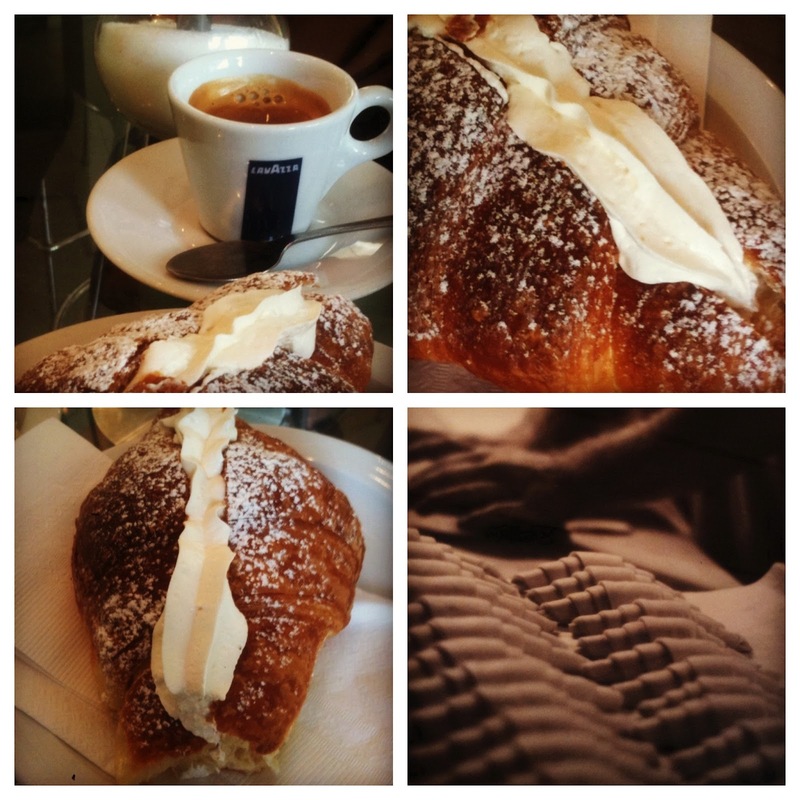 At La Cornetteria, a croissant is called a cornetti and it is bit larger and sweeter than your average croissant. The best part is that it is filled with fresh ricotta, custard, marmelade, almond paste or even with Nutella. It is simply a decadent experience! Between the scrumptious cornetti and the heavenly Lavazza coffee, La Cornetteria is the place to go when you are longing for a delicious moment in your busy schedule. 1 comment on "Coffee And Cornetti"
When you try to imagine yourself on a relaxing weekend vacation on a relaxing island full of majestic views, it really does give a more wonderful touch when being served with this delicious looking cornetti with its perfect combination of coffee.